There are hundreds of thousands of market participants buying and selling securities for a wide variety of reasons: hope of gain, fear of loss, tax consequences, short-covering, hedging, stop-loss triggers, price target triggers, fundamental analysis, technical analysis, broker recommendations and a few dozen more. Trying to figure out why participants are buying and selling can be a daunting process. Chart patterns put all buying and selling into perspective by consolidating the forces of supply and demand into a concise picture. As a complete pictorial record of all trading, chart patterns provide a framework to analyze the battle raging between bulls and bears. More importantly, chart patterns and technical analysis can help determine who is winning the battle, allowing traders and investors to position themselves accordingly. In many ways, chart patterns are simply more complex versions of trend lines. It is important that you read and understand our articles on Support and Resistance as well as Trend Lines before you continue. This Amazon (AMZN) head and shoulders pattern took 7 months to form. This CIENA (CIEN) chart pattern, on the other hand, formed in a single day. Much of our understanding of chart patterns can be attributed to the work of Richard Schabacker. His 1932 classic, Technical Analysis and Stock Market Profits, laid the foundations for modern pattern analysis. In Technical Analysis of Stock Trends (1948), Edwards and Magee credit Schabacker for most of the concepts put forth in the first part of their book. We would also like to acknowledge Messrs. Schabacker, Edwards and Magee, and John Murphy as the driving forces behind these articles and our understanding of chart patterns. The science of chart reading, however, is not as easy as the mere memorizing of certain patterns and pictures and recalling what they generally forecast. 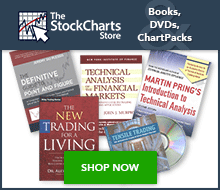 Any general stock chart is a combination of countless different patterns and its accurate analysis depends upon constant study, long experience and knowledge of all the fine points, both technical and fundamental, and, above all, the ability to weigh opposing indications against each other, to appraise the entire picture in the light of its most minute and composite details as well as in the recognition of any certain and memorized formula. Even though Schabacker refers to “the science of chart reading”, technical analysis can at times be less science and more art. In addition, pattern recognition can be open to interpretation, which can be subject to personal biases. To defend against biases and confirm pattern interpretations, other aspects of technical analysis should be employed to verify or refute the conclusions drawn. While many patterns may seem similar in nature, no two patterns are exactly alike. False breakouts, bogus reads, and exceptions to the rule are all part of the ongoing education. Careful and constant study are required for successful chart analysis. On the AMZN chart above, the stock broke resistance from a head and shoulders reversal. While the trend is now bearish, analysis must continue to confirm the bearish trend. Some analysts might have labeled this Novellus (NVLS) chart as a head and shoulders pattern with neckline support around 17.50. Whether or not this is robust remains open to debate. Even though the stock broke neckline support at 17.50, it repeatedly moved back above its support break. This refusal might have been taken as a sign of strength and justified a reassessment of the pattern. Two basic tenets of technical analysis are that prices trend and that history repeats itself. An uptrend indicates that the forces of demand (bulls) are in control, while a downtrend indicates that the forces of supply (bears) are in control. However, prices do not trend forever and as the balance of power shifts, a chart pattern begins to emerge. Certain patterns, such as a parallel channel, denote a strong trend. However, the vast majority of chart patterns fall into two main groups: reversal and continuation. Reversal patterns indicate a change of trend and can be broken down into top and bottom formations. Continuation patterns indicate a pause in trend and indicate that the previous direction will resume after a period of time. Just because a pattern forms after a significant advance or decline does not mean it is a reversal pattern. Many patterns, such as a rectangle, can be classified as either reversal or continuation. Much depends on the previous price action, volume, and other indicators as the pattern evolves. This is where the science of technical analysis becomes the art of technical analysis. For detailed explanations of specific continuation and reversal chart patterns, see the Chart Patterns page in ChartSchool.